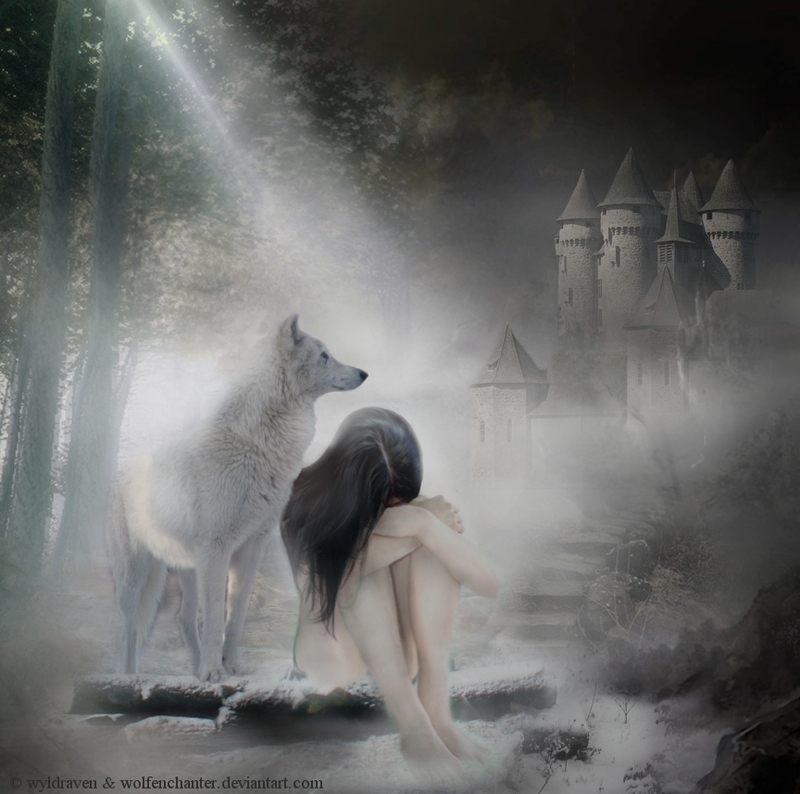 Today dear readers, I bring you an old folktale once told in the mountains of Auvergne, a tale of royal werewolf and her unfortunate end. According to the legend, a nobleman was gazing out of his castle window when he saw a hunter he knew. He decided to have a chat with the old hunter and asked him to report back later on the details of his hunt. While wandering the forest, the hunter came across a ferocious wolf. After a dreadful battle he managed to sever on of the wolf’s paws. The hunter placed the paw in his knapsack and returned to the castle with his bloody prize to show the nobleman. Once he got back he opened his pack to show the nobleman the evidence of his hunt, but there was no paw at all. What he pulled out instead was a small woman’s hand wearing a special gold ring. The nobleman instantly recognized the ring, for it belonged to his wife. He made his way to her room to confront her and ask her what she had been up, and when he got there he saw his wife, concealing her arm. Once uncovered, the nobleman saw that she no longer had a hand. Upon further questioning the lady admitted to being the wolf the hunter had fought with, and with her confession, brought on her execution. Like most folktales you can find various versions of this one all throughout Europe. The first time I heard it it wasn’t about a noblewoman, but about a peasant girl, and another time it was about a regular house wife. The common theme is that it’s always the hand that gets severed and it’s always a female werewolf. Strange how often the werewolf folktales are more often about women than men. Hmm… curious. Castlevania: Lords of Shadow has Werewolves, Woot!